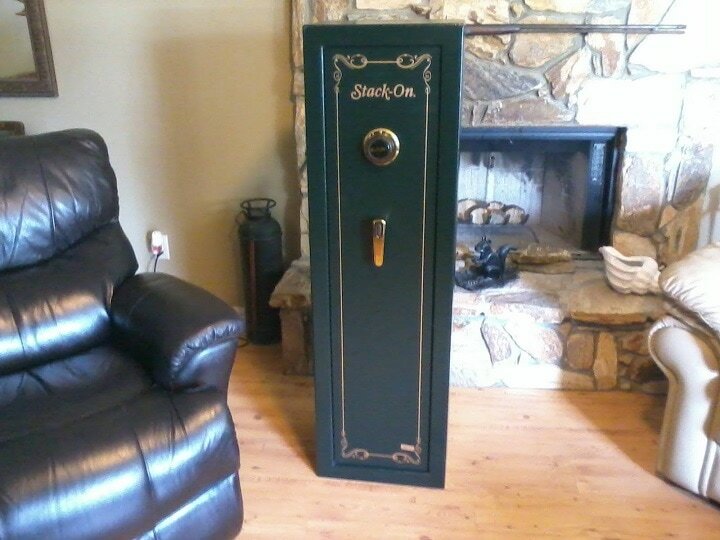 In this day and age, a gun safe is a must – even if you only own a single firearm. Like everything else nowadays, the common gun safe can be a pure pile of junk with a price tag on it, or it can be a reliable safe system that gets the job done. The basic rule is you’re going to get what you are willing to pay. A good gun safe has to meet three requirements first and foremost. Firstly, the safe must be fire resistant for up to 45 minutes at least, secondly the safe needs to has a door lock system with hardened dead bolts that is resistant to objects such as pry bars, and finally the locking method (electric or manual) must be reasonably tamper-proof. 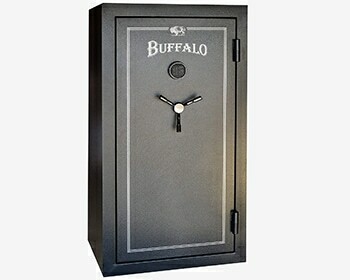 The ‘Buffalo’ sold by Amazon is a prime example of a full-service gun safe that can hold a large gun collection of thirty-two rifles, while also retaining space for smaller items, such as unrelated valuables or handguns. 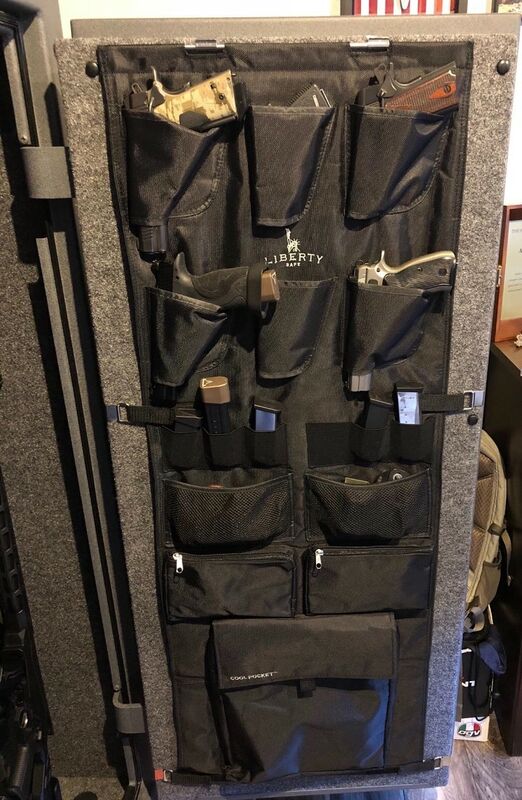 This rifle safe has eleven custom door pockets as well as room for thirty-two rifles, and the anti-theft kit installed is pry resistant with its recessed door frame, and also has pry resistant notched locking bolts. 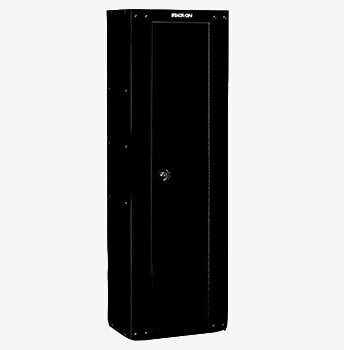 Built to be fireproof for 40 minutes at 1,200 degrees, as well as being water resistant, the 14-gauge single unit steel door is a sure deterrent to theft or fire issues. The price of Sportsman Buffalo 32 varies, so check the latest price at Amazon. When you’re assessing the value of a gun safe, be sure to read the fine print in terms of fire reaction time and water sealing ability. It is not the exact time so much as the level of knowledge you’re gaining, because the materials in the product will have a direct relation to how long the safe can protect your guns in the event of a fire. example, if the protection time is five minutes, you can be quite sure that breaking into the box won't be that difficult. 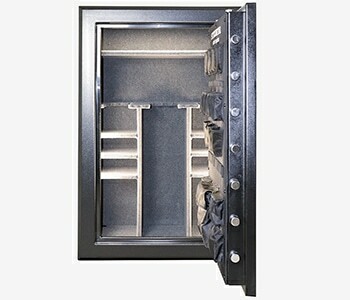 The Steelwater is advertised as a 60 minute 1,875 degree fire proof gun safe. 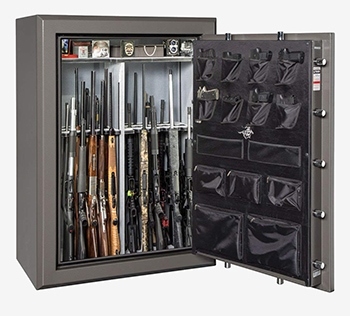 The safe makes use of eighteen upgraded hard steel lock bolts, 8X drill resistant hard frontal steel plate, and a UL listed Group II combination dial. This is an example of a large heavy duty safe with a good timeline for fire protection. Height 59 inches, width 30 inches, depth 24 inches. This makes for a large volume space that can handle twenty rifles and also extra smaller objects such as handguns. On the store floor some selection in safes, but far to many for even the box box stores to stock. Research needs to be done by the buyer covering the internet. Amazon has indicated that this safe cannot be delivered to some areas due to weight issues. Be sure to review all shipping information prior to buying this product. The price of Steelwater Heavy Duty 22 varies, so check the latest price at Amazon. Steelwater 32 ,39 and 45 gun safes are designed as state of the art in fire protection units, and allow massive numbers of firearms to be stored within. 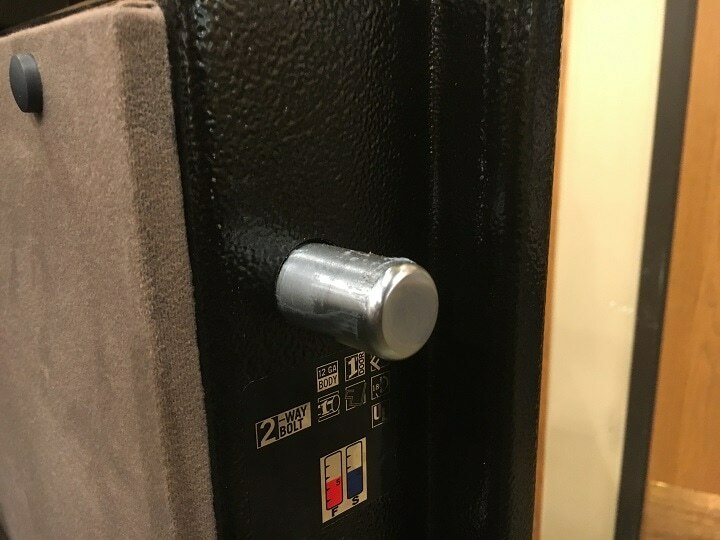 These safes retain heat activated door seals when in contact with fire. Designed with eight massive lugs made of hardened steel, and an anti-pry system designed into a heavy door this is a class act in a commercial or large collectors’ storage safe system. The hardened plate steel door prevents drilling into the lock system, and the gear drive lockup system is foolproof as well, and of better quality then many systems sold today. Modern button safe design saves time and is trouble free regrind operation. The doors are built of 9-gauge steel with an added 1/4 inch of steel plate over the entire door. The doors retain storage pockets and may be different then pictured. While no safe is 100% effective against all elements, this safe will take hard punishment from intruders or the elements for a very long time without giving way. ​​​​​That’s the real requirement when gun safes are considered. The price of Steelwater Extreme Duty 39 varies, so check the latest price at Amazon. In my gun room I have installed a Browning gun safe because Browning is a class act piece of iron shaped into a solid gun safe system. 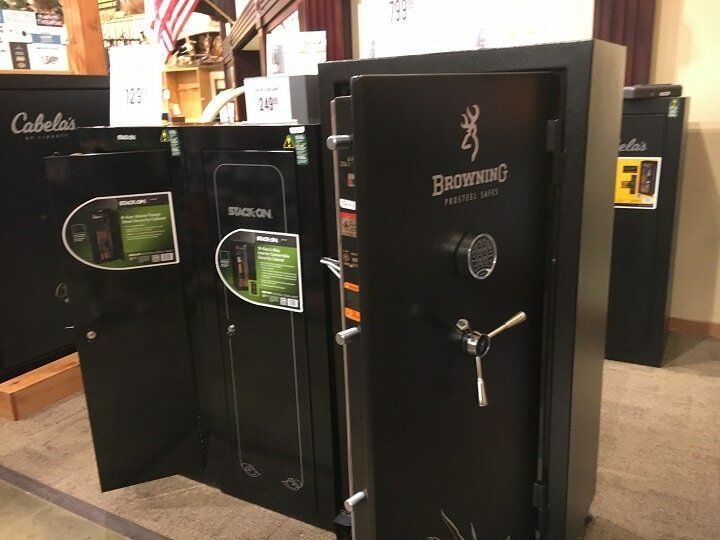 The Browning safe retains ThermaBlock technology that offers a thick insulated protection from fire up to 1,680 degrees. Plate steel doors and a box outer system make this a solid burglar-proof safe system. Dorr lug at pannel center. This Browning door is an example of better built "real" safe systems for firearms and other valuables. The price of Browning Hunter HR26 varies, so check the latest price at Amazon. 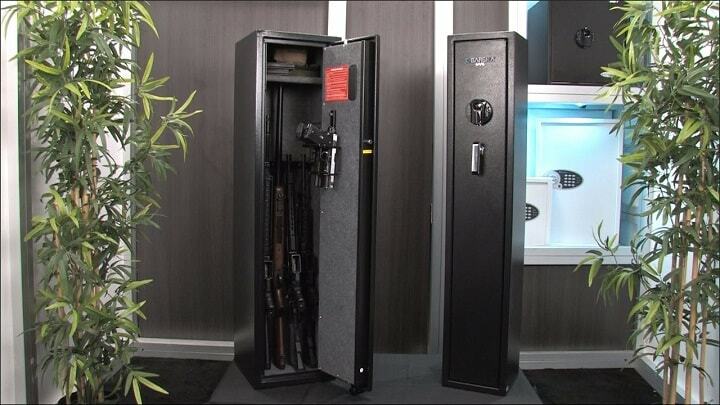 For long guns the Barska Large Quick Access Biometric Gun Safe stands front and center. This safe measures 9.8 inches x 8.6 inches x 52.17 inches. The safe can hold several long guns and a couple of handguns as well. All in one for the gun owner that is not at all interested in collecting, or making use of, many different types of firearms. This safe uses a biometric fingerprint scanner that allows the authorized user to open the safe with a single touch. Owners of this safe can also access the unit using a digital PIN pad, and a standard key as a third access. 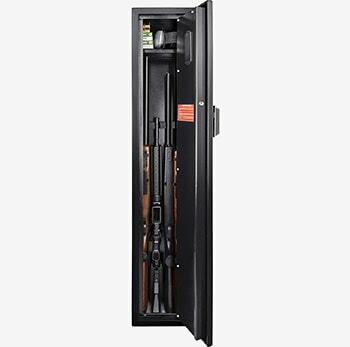 The safe includes a removable and adjustable upper shelf, and a rack for four long guns. This feature allows for some customization if weapons are different sizes. The price of BARSKA varies, so check the latest price at Amazon. This safe has fire protection for 75 minute at 1,400 F. The safe retains a 6x heat expanding door creating a solid seal against heat and smoke. 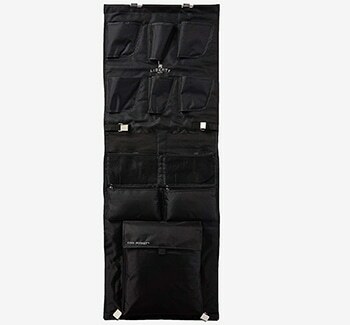 The safe retains nine heavy hardened door pins, and the door also acts as a storage area with assorted pockets. 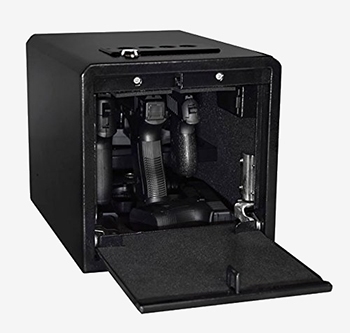 This safe makes use of a secondary lock system that keeps the bolt locks in place even when under attack from the outside. 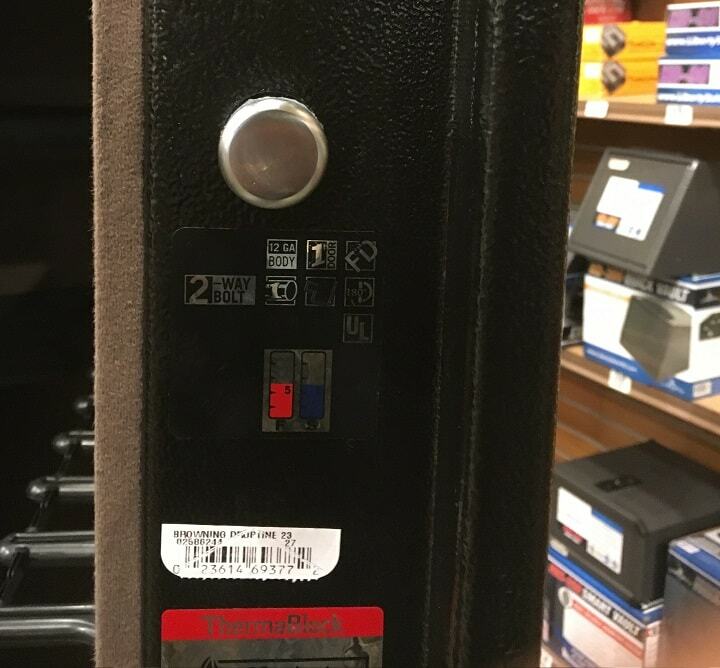 The safe has an OL listed S&G electric lock system. Weight 808 pounds, I would tend to believe the only one not satisfied was the moving crew. The price of Winchester Big Daddy Series varies, so check the latest price at Amazon. 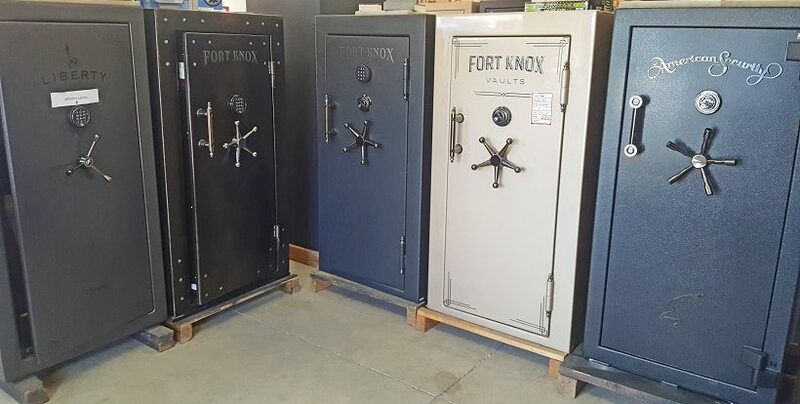 While there are many quality large safes, and as I have previously stated, price can be an indication as to exactly what you’re getting for your hard-earned money, there is the area of smaller safe units that also comes into play here. Gun safes for keeping handguns at hand when the door rattles after dark is one area that has become very popular lately. For the most part, small sized handgun safes are not intended to be used a storage boxes. These safes are action designed. That is to say the safe is for a location in the home or business where it is easily accessible by the owner. In this case, speed of operation is critical. You don't want to be messing around in the dark with a combination lock when someone is coming through the back door and into your home. 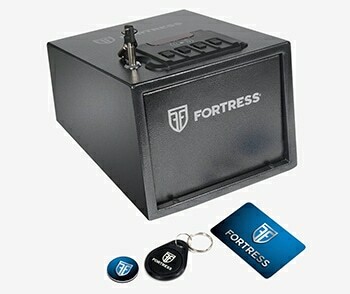 The Fortress uses three lock/open systems. First is a three- to eight-digit code combination to open the box, secondl is a backup key system, and finally an RFID identification, key ring fob, or stick on label. 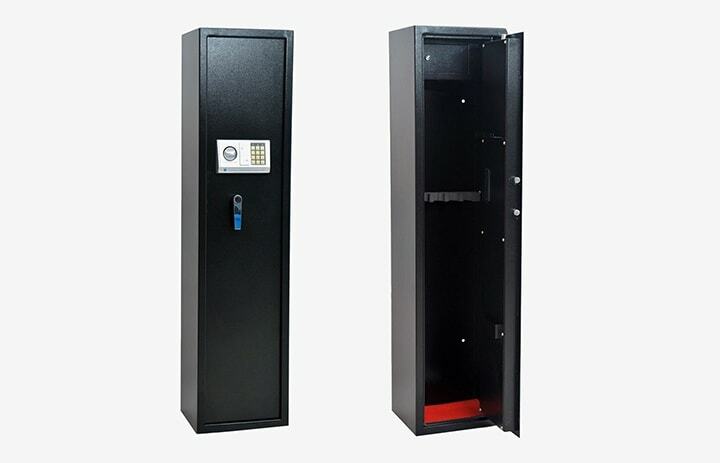 The safe is made from one piece of solid plate steel, double plates are used and complete seam welding is maintained – versus spot welds that are much weaker regarding structure. In some cases robots are used to maintain consistent welding on these gun safes. The price of Fortress QUICK ACCESS varies, so check the latest price at Amazon. 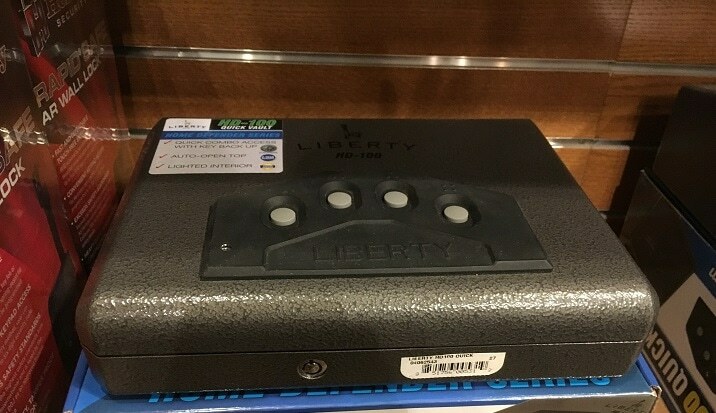 The Liberty smart handgun safe is a biometric model set up for one gun at the ready by with an advanced touch locking system. 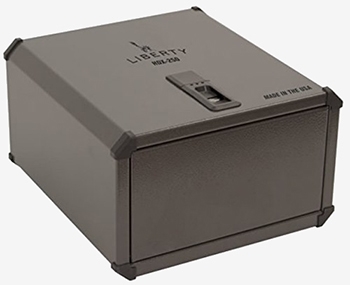 Liberty makes a variety of safe sizes and styles, and is one of the target gun safe manufactures in operation today. The price of Liberty HDX 250 varies, so check the latest price at Amazon. Small hand or car safe can help secure items, but space is the problem and the ability fight flood or fire is always an issue. 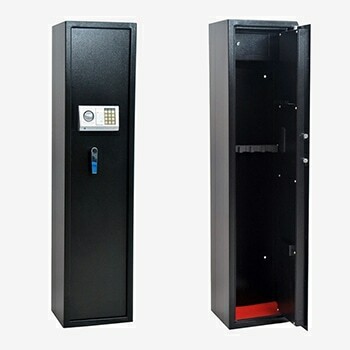 This upgraded anti-theft protection safe features anti-pry bar two-point impact latches, interior mounted hinges, and interior security brackets. 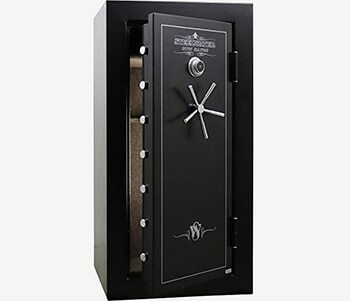 This safe is tough as nails with 16-gauge carbon steel construction with a durable powder coating as a finish. This smart safe system interacts with your smart phone, or you can make use of the hot key system when desired. This unit has state of the art advanced design. The system is equipped with a rechargeable battery system as well. 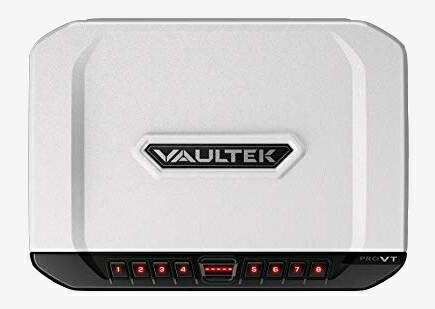 The price of Vaultek VT21i varies, so check the latest price at Amazon. 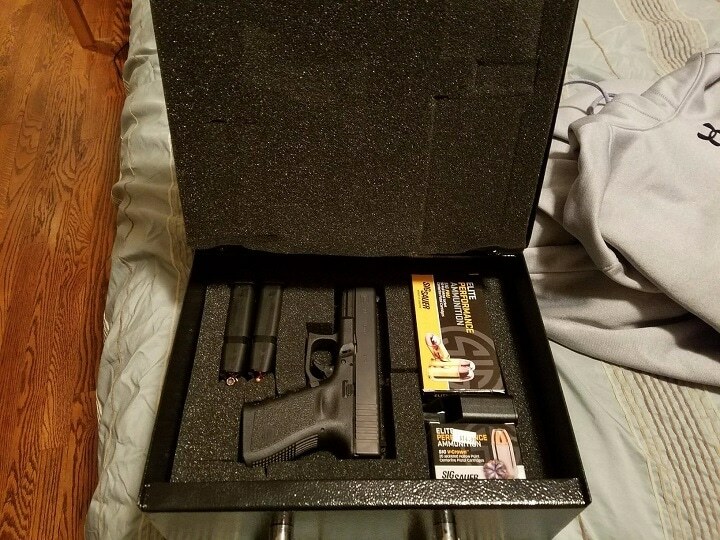 This box can hold three handguns at the ready, and two additional handguns down flat. Max capacity is five guns. Quick access loaded drop-down door with a red interior light and optional silent mode. Dimensions: external 9 x 9 x 12 inches. Weight 20 pounds. This box holds a small collection as well as being an easily accessible, life-saving system. The unit retains a cable lock down system as well as the primary unit locks themselves. Those locks include a key override system, and a quick six-digit combination. The locks are pick-proof and childsafe according to the manufacturer. The price of STEALTH Handgun Safe varies, so check the latest price at Amazon. 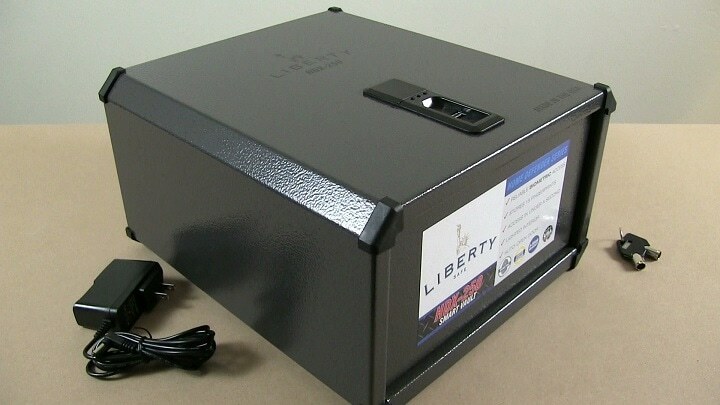 This safe aftermarket product will fit any Liberty gun safe size 24. (long gun). 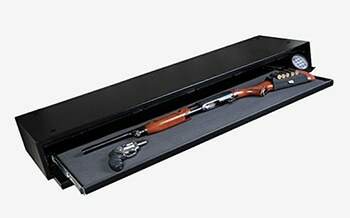 This aids in keeping smaller items safe in a smaller standalone cabinet style gun safe, added handguns etc. This is one way to make you gun safe more flexible if you want to make extra room for new found valuables. 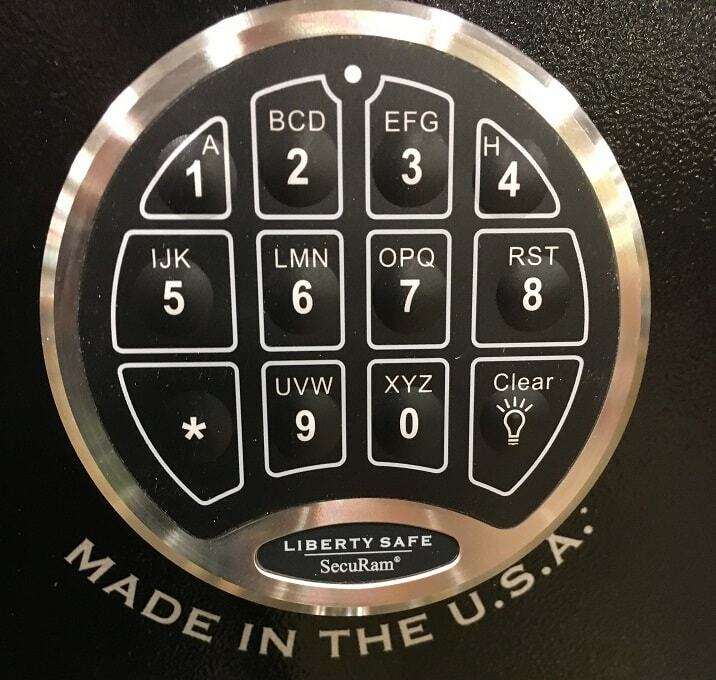 The price of Liberty Safe Door Panel varies, so check the latest price at Amazon. 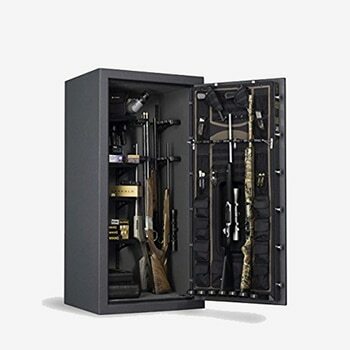 This eight-gun steel case is designed for a smaller collection of firearms and retains removable shelving so the buyer can adjust the case to fit a custom series of firearms when necessary. 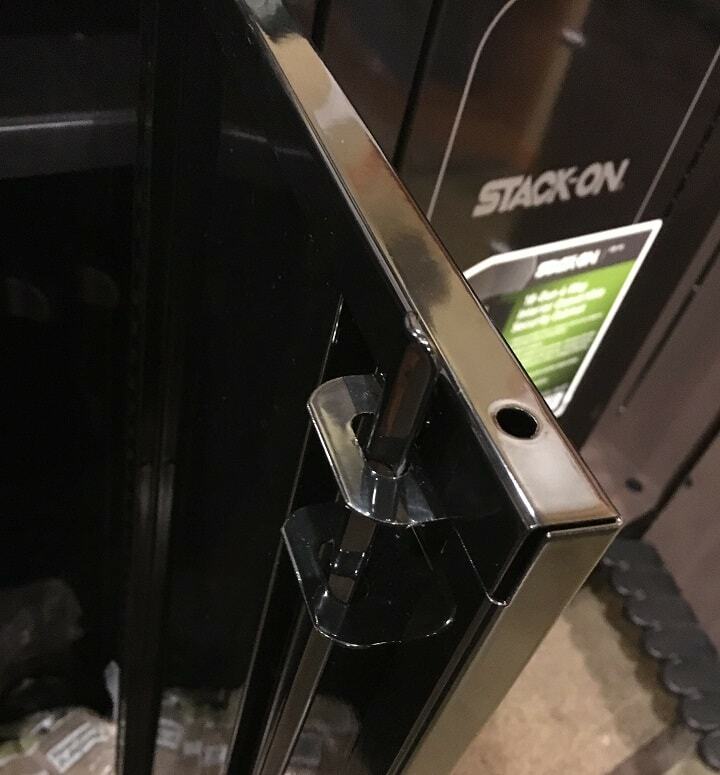 This is a Stackon safe and with very light gauge steel and only two 1/4 sliding pin locks it is not a safe at all, but a general use stage cabinet with a lock. No fire protection, water, and say to break into. However good system to keep away guns from the small ones. The safe has a three-point locking system with a double-bitted keycode lock. The price of Stack-On GCB-8RTA varies, so check the latest price at Amazon. This smaller gun safe is built of heavy gauge steel, 4mm thick at the front door and 2mm side walls. You can use a keypad system or the basic manual key system if desired. 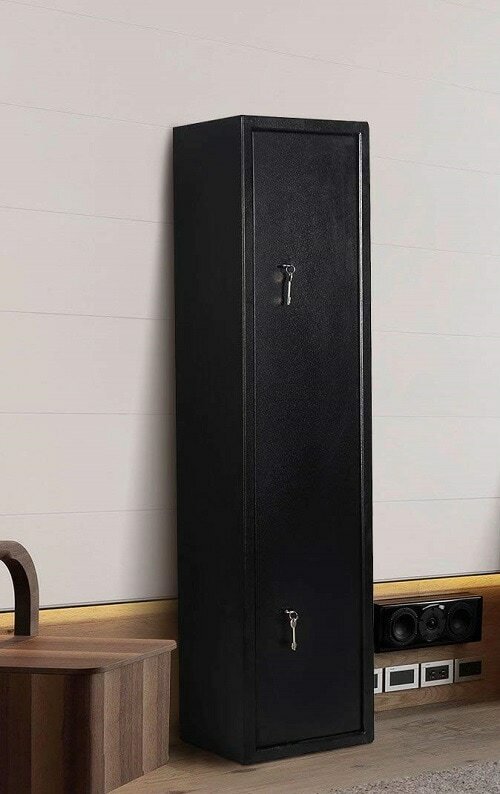 Flexible is the ‘key’ in this gun safe. The safe has room for five rifles (long guns) as well as shelving for additional valuables, including handguns. The price of HomeGear Large varies, so check the latest price at Amazon. This safe is for small collections and idea for use in a small apartment where space is an issue. The safe has space for a couple of handguns and, in most cases, this meets the need of the average gun owner across the country. Made from 1.8mm iron plate, the safe is not easy to break into. In some cases, this case can hold six long guns depending of style and length. There is a special ammunition box included with the safe system. The Coplus can be attached to a wall or floor. 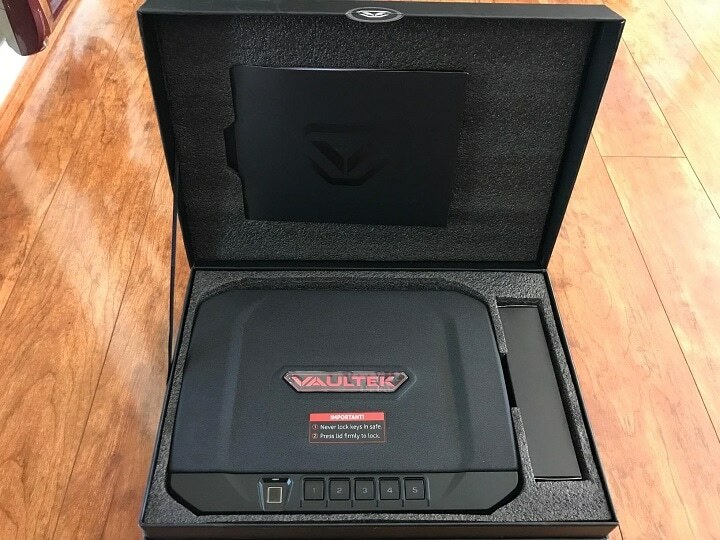 Budget pricing means that this is not your high-end gun vault, but it will keep firearms away from the little ones and also maintain general safety in the home or business. The price of Goplus 2 Key 3 varies, so check the latest price at Amazon. When it comes to autos, boats, or even aircraft the portable gun safe for handguns is front and center. 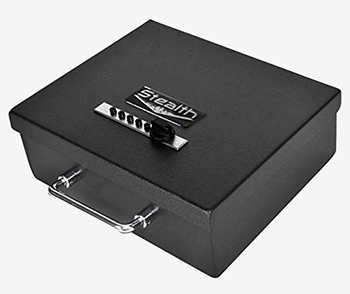 Here the Stealth style safe meets the needs of securing a handgun while still having access to the weapon quickly. 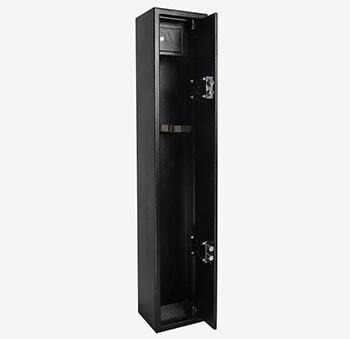 The stealth safe is built of strong 14-gauge steel, with an overlap door so as to prevent the use of a pry bar. The safe makes use of 1 ½ inch chrome steel bolts that are recessed inside the safe. In terms of a lock, the system uses a Simplex Mechanical lock with over one thousand different possible combinations. The foam interior will conform exactly to the fit of your handgun. 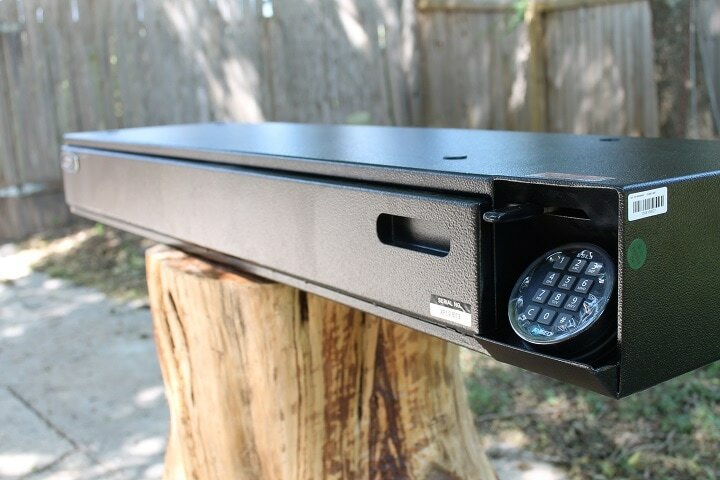 Single gun safe totally portable light weight. Size 10.9 x 12.25 x 4.13 inches. The safe retains a heavy chrome carry handle. The price of Stealth Portable varies, so check the latest price at Amazon. 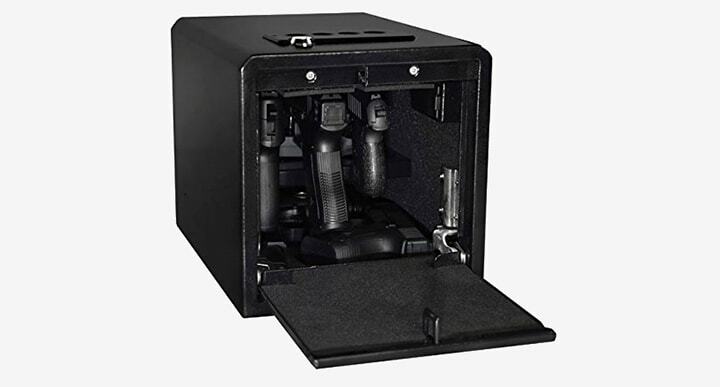 This safe is designed to slide under a bed and retains rifle or shotgun, plus extra room for a hand cannon as well. The safe is made of 14-gauge steel with five point locks on the ends. The product retains a lighting system for black out situations when operating the electric locking system. 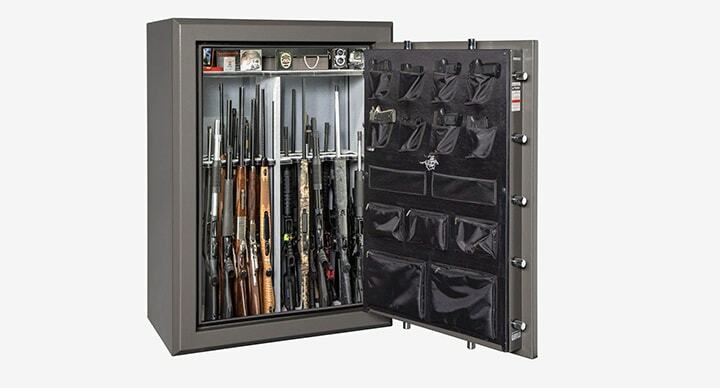 The safe has an added tray that measures 3 1/8 x 43 ¼ x 13 inches. The price of Stealth Hidden varies, so check the latest price at Amazon. There once was a time when rifles were kept in the back of our pickup truck here in the USA. Today that is hardly ever seen anymore. Gun safes are standard issue at home and in vehicles. Be advised that you’re committing a crime if children gain access to weapons that have not been secured correctly. The safes I have selected here are examples of current models available to buyers. There are many others, and in fact far too many to ever list in a single review that can be found.